large number of my stories of inspirational people. May I present to you – Tõnu Tunnel, a photographer extraordinaire whose everyday work equipment, aka the camera, features a custom-made camera strap made by me. The first time I heard of Tõnu, I could not but laugh a little on the inside as I had known Tõnu Runnel – the designer of my homepage – for years. The two of course have gotten to know each other due to the uncanny similarity of their names. It is not uncommon for Runnel to be praised for a great photo exhibition which was actually executed by Tunnel. Many readers were probably also amused by the Müürileht issue which contained stories of both Runnel and Tunnel. A small world we live in. Tõnu has become one of my main collaborators – my portfolio includes an ever increasing number of his photos. Tõnu’s architectural compositions and documentary style was exactly what I was looking for which is why I was very happy when Tõnu first approached me last autumn about an idea of his. He wanted to order an accessory for his camera which would function both as a handle and as a looser strap. The wristband has now been tested both in the hustle and bustle of parties and in the serene settings of nature photo shoots. 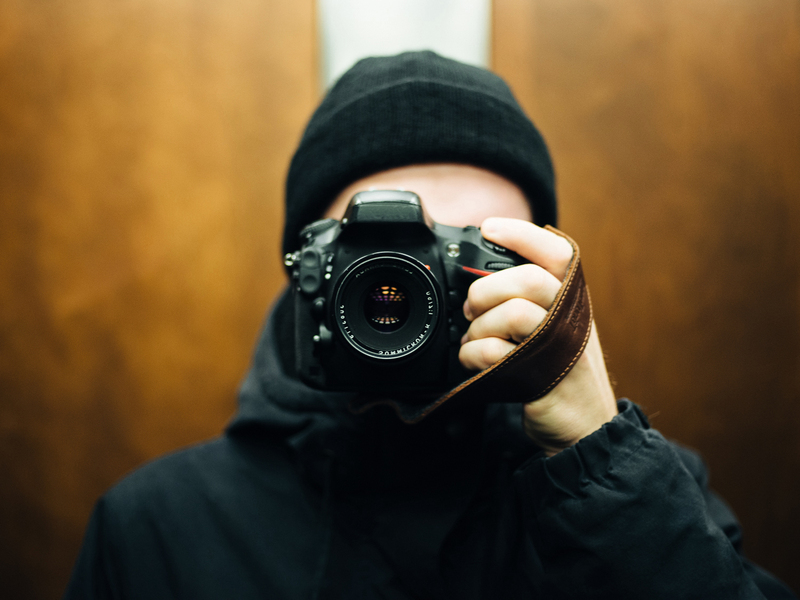 Its success has led to the creation of other similar items - Tõnu contacted me recently with a request for another strap because he had purchased a new gadget for his camera. Soon, Tõnu will probably own a whole collection of the wristbands – a custom-made strap for every photo opportunity! Tõnu’s great love is capturing architecture and urban spaces which have a unique character. Documenting ephemeral views has been his passion ever since he first held a camera 12 years ago. Looking through his portfolio is a delight because his beautiful visuals always tell a story. Similarly to his powerful architectural photography, his portraits which carry a similar rhythmic quality also leave a grand impression. In addition to that, he builds beautiful frames for his photos which add a personal touch without intervening with the story in the photo – his presentation skills really dot the i’s and cross the t’s of his artwork. Tõnu’s photos are sincere and they leave room for both the viewer and the subject. Not many young photographers in Estonia are able to live off photography. Tõnu was no exception at first but he decided to risk it and see what would happen if you use what you have learned and do what you love. Being in a similar situation myself, it is inspiring to see that Tõnu’s style has been noticed, he is working on several projects and his enthusiasm has not diminished. It seems that taking a risk is paying off – he is making a name for himself in his chosen field and I am sure that he will be one of the most renowned photographers in Estonia in no time. All I can do is to keep working as hard as I can to be on the par with my designs and projects to inspire Tõnu for a long time to come. Even after he has conquered the world. Tõnu’s works and projects can be seen on his webpage and on Facebook.